The Common Recruitment Process (CRP) is being conducted by the Institute of Banking Personnel (IBPS) which conducts exams for the Probationary Officers , Clerks, Office Assistants and Specialists Officers. As you all are aware of the fact that there are multiple exams with different profiles in the forthcoming days and the exam heat is up without any doubts. The IBPS PO preliminary Examination is over and as you are waiting for the results of that exam, IBPS has released the notification for the IBPS Specialist Officer posts. Usually this notification will be out after the finish of the registration process of the IBPS Clerk and this time also this has been followed. If you haven’t checked the notification of the IBPS SO 2017, please click the link below to know more about it. The exams are getting tougher and the patterns are changing due to the rising level of the candidates and you a know that IBPS has changed the mains Pattern of the IBPS PO exam this year and they followed this with an additional one too. There were surprises for the aspirants in all the exams (That’s usual ) and SBI PO 2017 was the one that showed how the exams of this year will be and it was the same and aspirants couldn’t predict what will be asked in the exam and many surprises were there including the above said one. 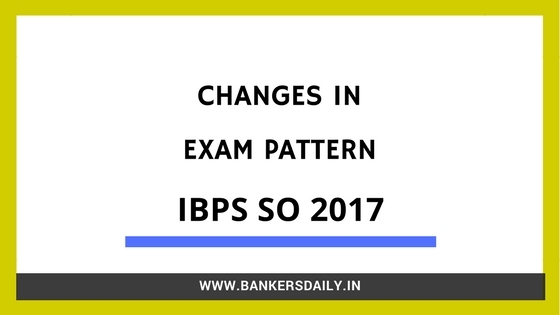 IBPS had gone one step of all the other exams and has introduced a new pattern for the IBPS Specialist Officer (SO) 2017. So we thought of educating the aspirants about the new pattern and also the changes in the IBPS SO 2017. So here goes the changes of the last exam of the year, IBPS SO 2017 (The exam is tentatively dated in the end of this year). The exam pattern of the previous years consist of One preliminary examination with sections like Reasoning, English language, Quantitative Aptitude, General Awareness with special reference to banking (Only for Law Officer & Rajbhasha Adhikari) and Professional Knowledge. Except the professional knowledge, all the other sections are only qualifying in nature and Professional knowledge marks only will be taken into account for the Prelims Exam. The second phase is the interview and mere qualification in the interview will not help in grabbing a interview chance, so you should have obtained high scores to get qualified to the interview process. This is the process till last year and this year it is entirely changed. Check the changes for the prelims exam because 2 hours of examination for 150 questions for 125 marks and should have guessed the level of difficulty for the IBPS SO 2017. 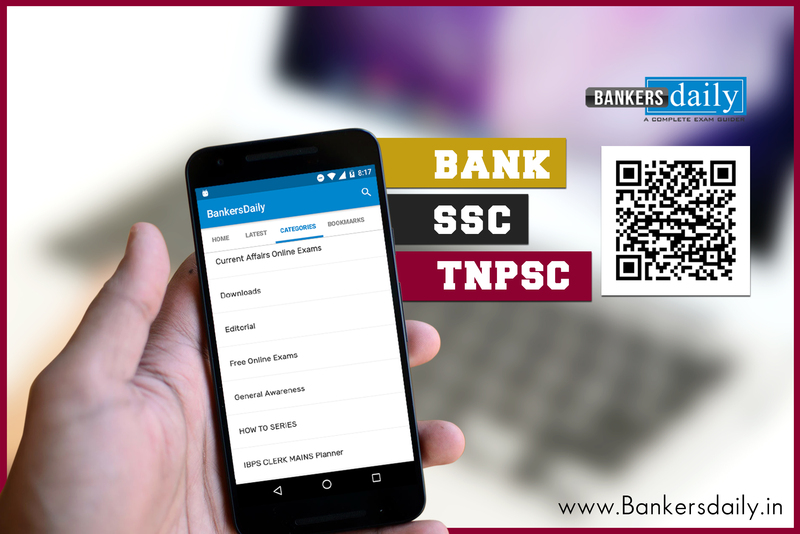 So gear up your preparations along with IBPS RRB Mains, IBPS PO Mains , IBPS Clerk Prelims, OICL Mains, LIC HFL Interviews, RBI Assistant Prelims and other examination. Brace yourselves because exams are getting intense and you have to prepare more for the exams. We hope this would have enlightened you with insights about the IBPS SO 2017 Examination. These will be updated in the forthcoming days , so if you are applying for the IBPS SO 2017, then you should keep an watchful eye on these updates. NIACL Assistant Prelims 2017 : How was your Exam?